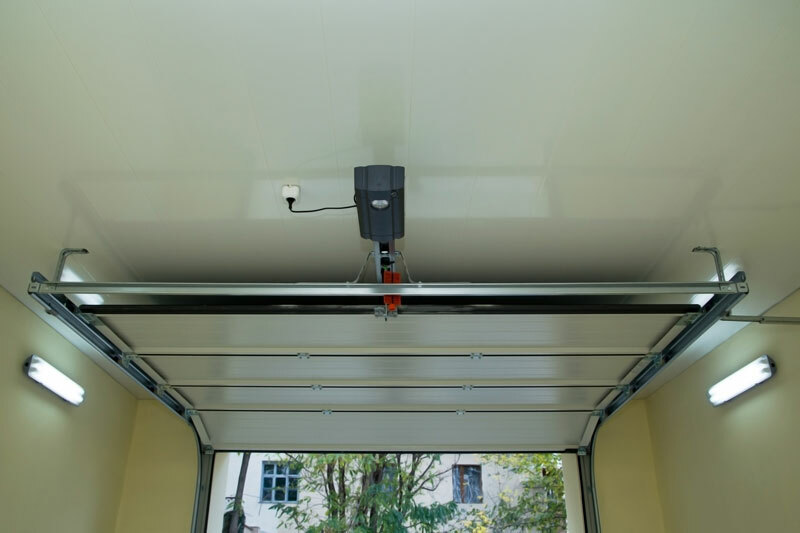 An automatic garage door opener is a great convenience, especially during winter. Storms may blow through Portland and Vancouver every couple of weeks, but when you’re armed with your remote, you’ll stay warm and dry. But what happens when the power goes out? Pacific Northwest storms pack a lot of force, and wind and rain sometimes lead to downed power lines. Your home could be without electricity for several hours. Some newer openers have battery backups. If your opener has one of these, you’re good to go even when the electricity is out. If you don’t have battery power, you’ll need to open your garage door manually until the electric company gets the juice flowing again. 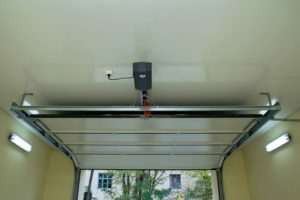 It’s simple to manually open your garage, but always use caution around a heavy door. Make sure kids and pets are a safe distance from the door. Here’s how to open your garage when the power goes out. Your door opener has a bypass switch that puts your door into manual mode. You can use the bypass when the power’s out, the motor malfunctions or the remote won’t work. To put the door into manual mode, look for a rope hanging from the carriage. The carriage is on the garage ceiling, and it travels along a rail. This rope and its handle are usually red. Pull down firmly on the rope to disengage the door from the opener. For safety, you should only pull on this rope if the door is down. If the door is up when you pull the cord, the door could crash down. You can now raise the door. Have a piece of wood ready to use as a prop. Garage doors are heavy and may be difficult to open. Be sure no one is under the door as you lift. You may not be able to handle the weight on your own. If that’s the case, find someone to help. Once the door is up, use the wood to prop it open. You can also have a helper hold the door. Don’t drive under the door unless it is secured. Once a door is in manual mode, it may fall unless something or someone is holding. When your car is safely out, gently lower it back down. When the power’s back on, you’ll need to re-engage the motor. With the door closed, push the button on your wall unit. The opener will move the carriage until it reconnects. If this doesn’t work, you’ll need to pull the red cord again. You may need to lift the door until it snaps into place. If you think your door may have been damaged during the storm, call us. We’ll inspect your door and automatic opener. If either need repairs, we’ll have them working like new in no time.